One of my small obsessions and favourite subjects to nerd out on is everyday carry items, or EDC for short. 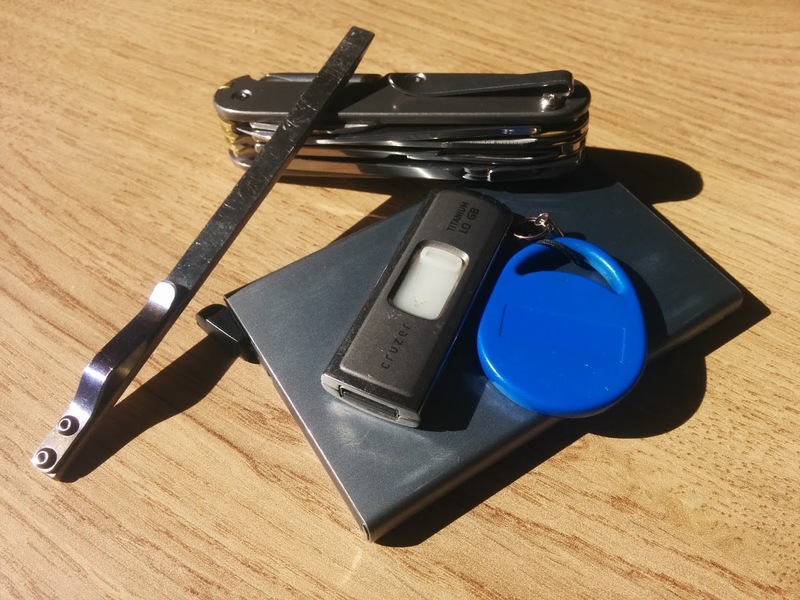 For people like me the idea is that the things you EDC are the things you use most in life, and if you invest in them they can make your life a lot easier and last a lifetime! 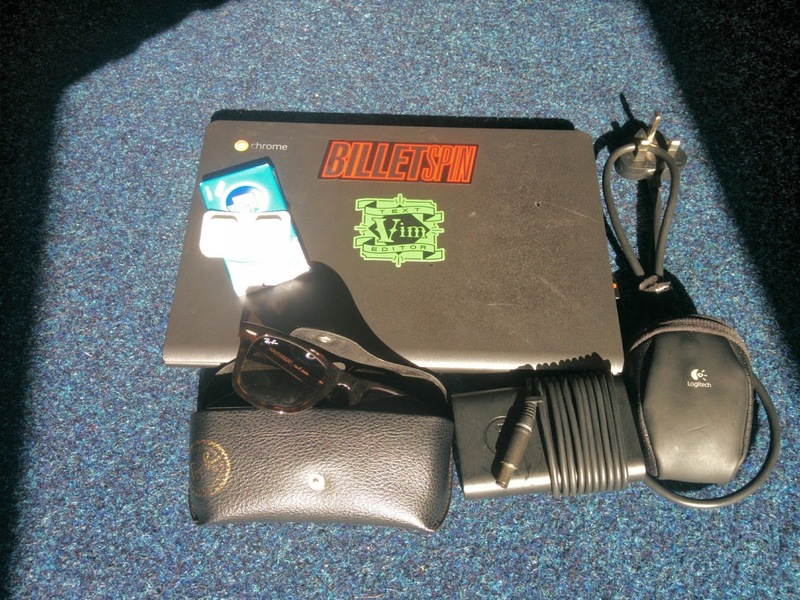 I like to be a minimalist when it comes to what goes in my pockets. I also value titanium over other materials, I've tried out Steel, Copper and Aluminium items but they all have issues. Titanium + Brass Custom SAKModder - This is probably my favourite item I own, it is a one off made to order Swiss Army Knife with titanium scales and brass liners. It was made by SAKModder in Canada. Zach Wood Micro Ti Pry - This is an unusual tool, it's just a sliver of titanium with a pocket clip that sits in my back pocket. It doesn't have a specific use, but anytime I want to poke, pry or stir something and don't want to risk damaging my SAK it comes in really handy! SECRID Wallet - I had previously had an Alluminium Machine Era Co. wallet, however I was always frustrated by the difficulty to get cards out, and the elastic fraying and the finish wearing off. The SECRID wallet solves all these problems in a slimmer neater package. u3 Titanium 1GB Sandisk - 1GB may seem low, but it is enough to put Arch Linux on as well as a bunch of Windows utilities, with 300MB left over! For average office use that is plenty I've found. Nexus 5 - Not pictured, but taking the picture was my trusty Nexus 5. It is getting old now and I've had to replace parts on it quite a few times, I should probably upgrade, but I'm rather attached! 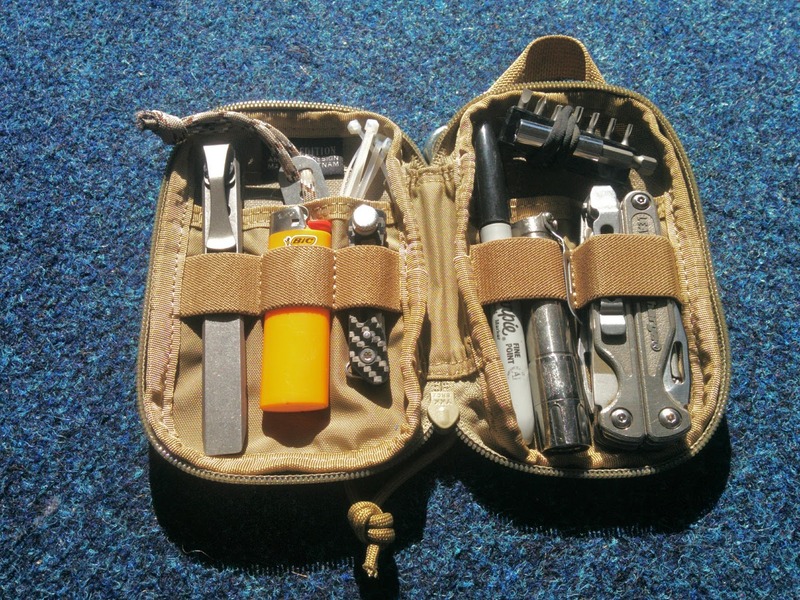 For my less frequently used pocket tools I have a small Maxpedition Micro pouch to keep these useful bits all together. Zachwood Pry Bar - Made of A2 steel this does the same job my micro titanium one does, except much much more heavy duty. Bic Lighter - Universally useful, cheap and the most reliable lighter I've had. Sparrows mini-jim - Small and incredibly useful tool for bypassing unshielded latches. Zip ties - The most useful repair tool! I'm running low actually. MadBob Carbon Fibre Jacknife (with home made shim tool) - Locksport is a hobby of mine and this neat little tool makes a nice compact way to carry some picks so that if I ever need to defeat a lock I have something handy. I've actually made another tool for it that is a .015" think feeler for defeating combination locks. It would be so frustrating to be in a situation where a skill I've spent many hours honing wouldn't be useful! Sharpie - Always useful for making quick notes to people on whatever is laying around. Thrunite T10T XPL - This is the old T10T with the good metal clicky tail switch, but with the newer more powerful XPL head! Leatherman Charge TTi - The undisputed best all round multi-tool, I've had this for many many years and it has yet to fail me! 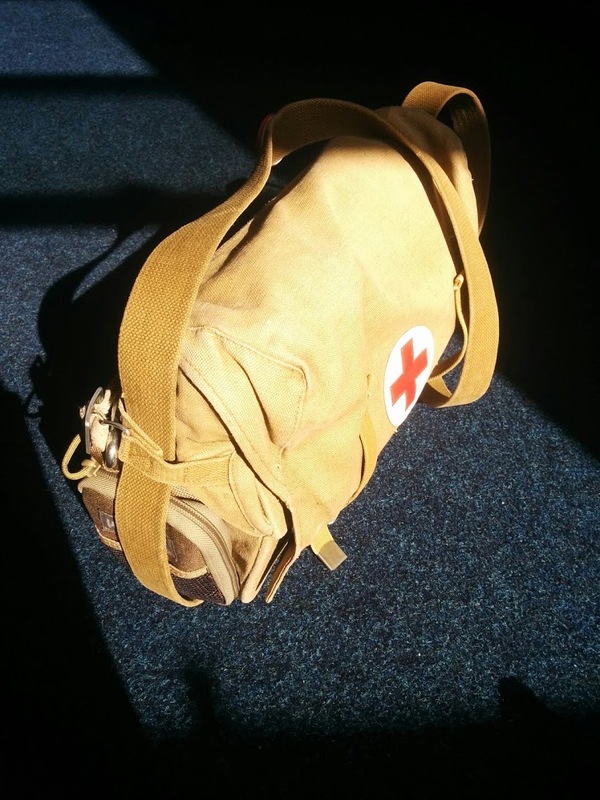 I have a very cool old soviet medics bag that I bought when I visited Red Square in Moscow. I use it for carrying my laptop and pouch. Dell Chromebook 11 4GB model - This has been modified to run Arch Linux and is a perfect cheap and effective development machine. Gum & Iburprofen - Always comes in handy but annoyingly consumable! Classic Ray Bans - Bought for my 21st birthday, they are so much cooler than I thought they would be. Logitech Anywhere MX Mouse - The laptops trackpad is very hit or miss which usually isn't a problem as I use the HJKL for everything, but occasionally I'm forced to use a mouse so this comes in handy! This is quite an odd obsession I admit, but I love pocket tools and making everything as minimal but as functional as possible. Buying high quality items is so much better in the long run too even if it is expensive up front!